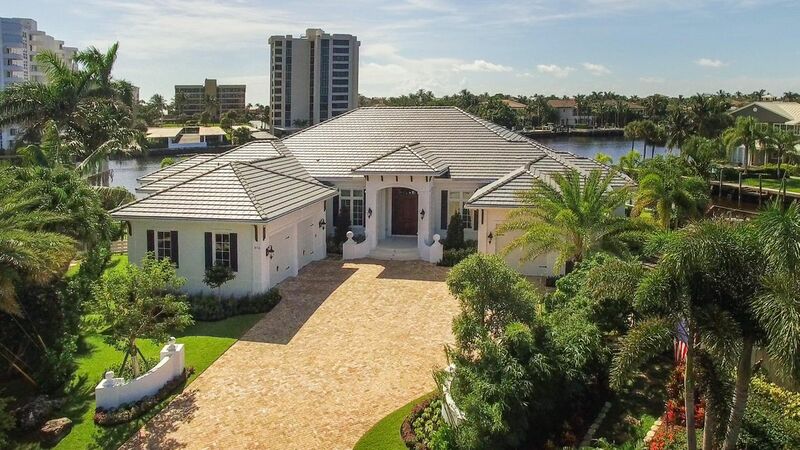 This brand new property is located on the Intracoastal waterway in Delray Beach. The southern exposure lot has been built with the finest materials and technology. The smart home is equipped with a Lutron lighting system, a surround sound system, remote security cameras throughout the property, Wi-Fi indoors as well as outside, and a complete lighting system outside. The stunning kitchen is complete with granite counters, a subzero refrigerator, wine cooler, unique stainless steel back splash, and much more. The beautiful backyard has an infinity edge pool and spa, fire pits, a summer kitchen, and an oversized patio. These are only a few great features of this amazing property. The MLS # for the home is RX-10250339. Do not miss out on the opportunity to call this property home! To get more information on 976 Cypress Drive here in Delray Beach, please contact one of our dedicated Distinct Estates agents who will be glad to show you homes in Tropic Isle or in other parts of South Florida.